Postdoctoral Fellow with the Penn State Center for Sports Concussion Research and Service. He has over 10 years of medical imaging experience in both the clinical setting and in the research field. He holds professional certifications in Magnetic Resonance Imaging and Nuclear Medicine and is a member of the International Society of Magnetic Resonance in Medicine. Dr. Johnson’s research is focused on traumatic brain injury as assessed by advanced neuroimaging techniques like functional magnetic resonance imaging (fMRI), magnetic resonance spectroscopy (MRS), diffusion tensor imaging (DTI), and susceptibility weighted imaging (SWI). At the clinical level Dr. Johnson served as a consultant with many top-ranked national medical centers. He was also in charge of cardiac, advanced neuroimaging applications, and clinical research trials at Oregon Health and Science University and St. Joseph Hospital. Dr. Johnson has published peer reviewed articles in top-tier academic journals including: Neuroimage, Experimental Brain Research, Journal of Neurotrauma, Neuroscience Letters, and Brain Imaging and Behavior. He has presented at national and international conferences that include the American Society of Functional Neuroradiology and the International Society of Magnetic Resonance in Medicine. Furthermore, Dr. Johnson has received both intramural and extramural funding from the Social Science Research Institute at the Pennsylvania State University and American Society of Radiologic Technologists. Mr. Gay received his BS degree in 1999 at the University of Maine, and his MS degree in Kinesiology 2001 from the Penn State University, and now holds a PhD in Kinesiology from Penn State University. Mr. 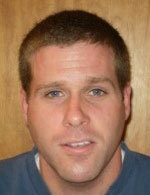 Gay has been an athletic trainer for 13 years and currently works at Penn State as an athletic trainer. His role within the lab to date has been multifaceted. As a clinician he gives clinical direction and feedback to project creation and data collection as it pertains to the clinical component of mTBI. Dr. Slobounov and he have also expanded the depth and breadth of modalities used to diagnose/evaluate subjects recovering from mTBI. This multi-modal approach is critical in evaluating sub-clinical abnormalities and providing data points towards a comprehensive approach in the treatment of mTBI. His recent publications include: -Johnson, B., Zhang, K., Gay, M., Neuberger, T., Horovitz, S., Hallett, M., Sebastianelli, W. Slobounov, S: Metabolic alterations in corpus callosum may compromise brain functional connectivity in MBI patients: an MRS study, Neuroscience Letters (submitted Sept. 30, 2011). Tim Benner is the Computer and Technology Specialist for the Department of Kinesiology, and has worked at Penn State for over 30 years. 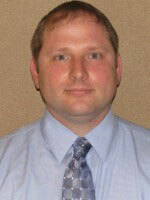 He has an associate degree in Electrical Engineering Technology from Penn State. 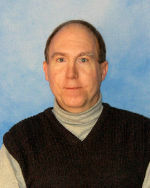 Mr. Benner maintains the computers for the Center and is webmaster for the Centers’ website. He also writes the data acquisition programs and assists with Matlab programming. He also constructs any specialized hardware needed for data acquisition, or to interface between various equipment. He has made devices to interface between the force platform computers and the virtual reality computers. He has written programs for the Data Translation series of A/D cards and written programs for the Wacom series of graphics tablets as well as touch screens. He has written programs for uniaxial and triaxial load cells, uniaxial and triaxial accelerometers, goniometers, force platforms, dynamometers, and has made custom strain gauge devices.